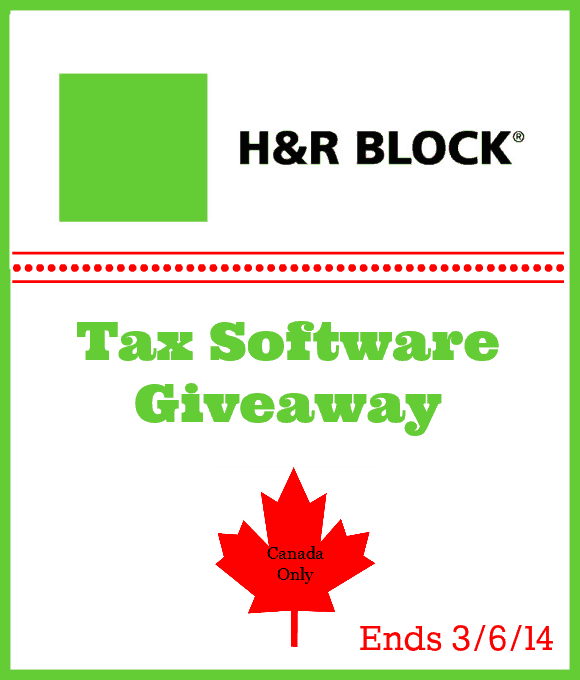 This post on preparing to tax season is brought to you by H&R Block Canada. The Boy Scouts are right –Be Prepared. While spring may still seem ages from now, it will creep up on you faster than you want to believe. That also means the deadline for your 2013 tax return is also fast approaching. The best tactic is to get everything ready well in advance of the April 30 deadline. Pick a central place: Tax paperwork comes throughout the year. Charities send electronic receipts immediately and you can collect receipts for deductions like the Children’s Fitness Credit year round. Make sure you keep all of the paperwork in one place so you have it when you file. Start now: If you throw all of your tax-related information into a shoebox or drawer, do not wait until April 30 to open it and review your slips. Stay on top of your paperwork throughout the year to avoid unfortunate surprises like faded receipts, missing documentation and, worst of all, underestimated taxes. Keep a record: If you are self-employed, record payments you receive, business-related purchases you’ve made, and what their business purpose was. Also track phone and Internet usage if you’re using a home connection for business – the Canada Revenue Agency (CRA) assumes these are also used for personal purposes, so you can only write off an appropriate percentage. If you use your car for business, document personal and business mileage separately. Celebrating your new mortgage: First-time home buyers can claim a $5,000 credit, which translates into $750 in tax savings. And the credit can be split between a couple if they are both first-time home buyers. There is no specific receipt needed to make this claim – you just need to have the paperwork to prove you bought a house in 2013 if the Canada Revenue Agency asks. And if you borrowed from your RRSP for your down payment, you have two years before the CRA will ask you to start your repayments. Welcoming a new addition: Most hospitals automatically register your newborn with the CRA to ensure you start receiving all the new parent benefits. Canada Child Tax Benefit: Monthly payment is determined by household income and is meant to help with the cost of raising a child. Universal Child Care Benefit: Until the age of six, parents will receive $100 a month to help with childcare costs. This income is taxable. Child Tax Credit: Parents can claim $2,234 per child in 2013 for $335 in tax savings. Maternity leave: New parents need to remember that EI income is taxable and can result in a tax bill at the end of the year depending on when the baby was born. RESP: Post-secondary education may seem like a long way off but deposits into a Registered Education Savings Plan can qualify for the Canadian Education Savings Grant, so it may be best to start early. Benefits for caregivers: If you have a parent or parents who are older than 65, have less than $19,435 in income and are living with you, you should be able to claim the caregiver amount. The key is that they must live with you. Sending money from afar to support them does not qualify. You can also claim parents under the age of 65 if they are dependent on you due to an infirmity. In this case the income threshold will be $21,864. The caregiver amount is increased by the $2,040 family caregiver amount when the dependant is infirm. Disability Tax Credit: If your parent qualifies for the Disability Tax Credit but does not have sufficient taxable income to take advantage of it, they may be able to transfer the unused amount to you. They must depend on you for all or some of the basic necessities of life for the transfer to be allowed. Nursing home expenses: For full-time care in a nursing home, there is no limit on the total expenses that your parents can claim as medical expenses for themselves. If you pay for your parents’ nursing home fees, you may be able to claim them as a medical expense, however you will be subject to limits. It is important to know however that you cannot claim both nursing home fees and the disability tax credit, so it may be more beneficial to restrict your claim to the attendant-care portion of the fees to the extent that they do not exceed $10,000. Get credit for textbooks: Post-secondary students may claim $65 for every month they qualify for the education amount. Part-time students can claim $20 per qualifying month. But the credit does not depend on how many textbooks you purchase – it is standard for every student who qualifies. Get on the bus: Students who depend on transit to get to campus should keep their passes to claim the Transit Tax Credit. The program also includes some electronic tickets and weekly passes purchased for four consecutive weeks. You need the receipts and transit passes to back up your claim. Tuition credits add up: No matter who paid the tuition, the student will receive a T2202A for the amount of tuition paid for 2012. If you do not receive a T2202A, you cannot claim tuition. The form allows you to claim tuition and education amounts as well as the Textbook Tax Credit. The key to getting ready for taxes? Make sure you do your homework as you start preparing the paperwork to avoid missing out on any money-saving credits. In addition, use tax preparation software, like H&R Block Tax Software, which guides Canadians thorough step-by-step tips to identify every possible deduction or credit, calculates your return as you go, and ensures you get your maximum refund. If you aren’t comfortable doing your own taxes, visit an H&R Block office and a tax professional will review your return for free. Want to keep up with tax season news? Follow H&R Block on Twitter and Facebook! Enter below for a chance to win one of two codes for the PC version of H&R Block Tax Return Software, which allows you to file multiple returns. Remember, until March 31st, the online version is free for everyone. Giveaway is open to Canadian residents, age of majority. Void where prohibited. Ends March 6th. Can You Boost Your Child’s Immune System to Avoid Daycare Plagues? When we want to accountancy miami university come around. about how you dispose of white goods, especially refrigeration products. Taxes have gotten far more complicated with my husband’s new job – there are way to many things to enter! Keeping track of all those little pieces of paper! My biggest challenge with taxes is gathering all the papers needed and finding time to go to a tax agency. Would love to do it at my convenience at home. My biggest issue is figuring out if medical expenses are worth claiming or not. Keeping track of auto related expenses for my business, oh how I detest it. Getting everything on time, especially since I had multiple short-term, part-time jobs last year. Getting everything in on time. Esp. when doing them myself. Getting them done on time! Getting my husband to help. My biggest challenge is getting my tax papers in order and organized. I also always seem to lose or skip the spot where you input your ‘rent’. keeping all receipts and other information organized can make things easier when it’s time to fill out the tax forms. Tax season is not scary. Key is to be organized and take every deduction. My biggest challenge is handling all the numbers — I’m just not very good with numbers. Finding all the papers, receipts etc and getting it organized! 5 Tips to Tame Your Skiing Fear: I Did It, So Can You! Should Baby Ear Piercing Be Illegal or Is it Parent’s Choice?